I grew up in the British Invasion. It was such an exciting time! A great many of the bass players used Gibson or Epiphone semi hollow body basses. Chas Chandler of the Animals, the great Paul Samwell-Smith of the Yardbirds. Put flatwound strings on them and and play with a pick, then you have one of the most unique bass sounds around. The bass player in the Strypes uses one now. 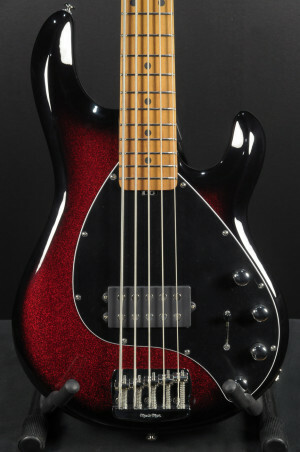 They are really cool basses, everybody needs one. Here we have a 1968 Gibson EB-2 in tobacco sunburst. This is a good one, clean and nice. It's been gone over by our luthier. The electronics have been cleaned, truss rod adjusted, frets polished, and set up. It's good to go right out of the box. There is some light lacquer checking, which adds to the charm and vintage patina. There are two small screw holes in the top where a previous owner installed a thumb rest, other than that, it is all original with the original hard case. This one sounds great. Play "Train Kept A Rolling" by the Yardbirds on this bass, and you will swear you are in 1965. It is a big, awesome sound. It has the original mute and bridge cover.